Salzburg is the home of music in Austria, birthplace to Mozart and host of the annual art summer festival Salzburger Festspiele. And Salzburg is much more. A charming and traditional city and at the same time a place with breathtaking locations, fancy restaurants and bars as well as all kinds of outdoor activities. A classical city for modern guests. The 4 star hotel Cool Mama is probably the youngest hotel in the city. With its location right next to the trade fair area, it not only offers business groups a "cool" accommodation, but it also gives the group the possibility to be in the city center in a short time. Above all, the view from the restaurant and bar is unique. A modern business hotel with a very special flair. 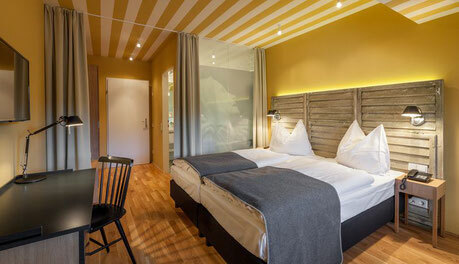 The 4 star superior IMLAUER HOTEL PITTER Salzburg is located in the historic center of Salzburg. 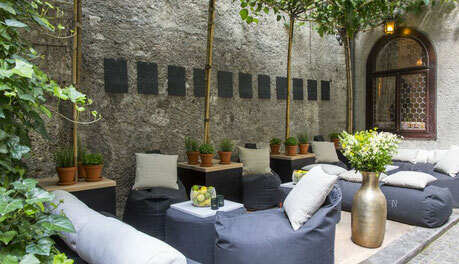 The hotel is the modern all-rounder offering state-of-the-art comfort after a restoration, very good central location and at the same time it looks back on a 150-year tradition. Again, the bar and restaurants are all worth a visit. 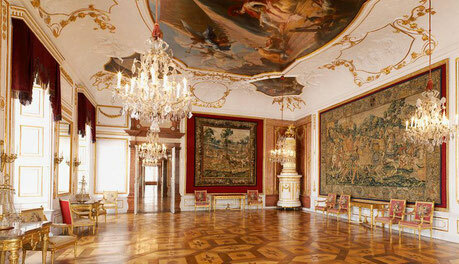 The hotel Schloss Leopoldskron has a moving history. One thing that made it famous were the scenes of the music film "The Sound of Music", which made the region Salzburg and of course the palace known throughout the world. Today, the palace is an exclusive wedding location, a luxurious little hotel that offers meeting facilities as well as a perfect setting for events of all kinds. A wonderful historic place. The exceptional restaurant with a mix of ancient and modern style looks back on more than 1.200 years of great hospitality. For the first time officially documented in 803, it is Europe’s oldest restaurant. Located within the St. Peter’s Abbey complex in the very heart of Salzburg the restaurant offers eleven different and unique dining rooms for up to 620 people. 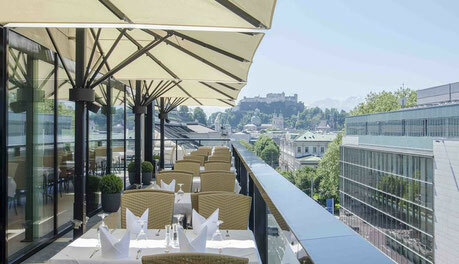 The award-winning chef serves Austrian dishes fused with international food trends. 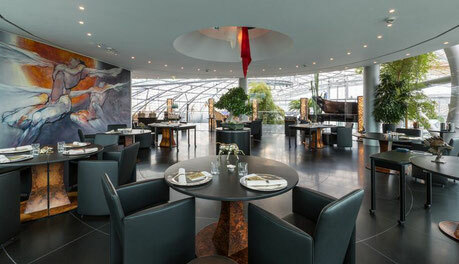 The Restaurant Ikarus in Hangar-7, close to Salzburg Airport, is the result of two giants gathering their powers: Red Bull owner Dietrich Mateschitz and chef of the century Eckart Witzigmann developed a worldwide unique concept for this restaurant. The Michelin starred Restaurant Ikarus, opened its doors in 2003 and welcomes with an extraordinary concept: monthly changing chefs. Menus and philosophy are adopted to each of the international top chefs. A unique experience exclusively in Salzburg. 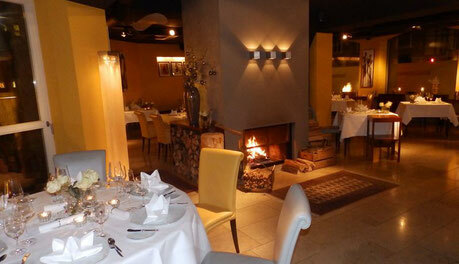 Since 2004 the small restaurant welcomes its guests in a very sophisticated atmosphere. In summers the guests can enjoy the meal on the inviting patio. It’s the perfect place to enjoy high class lunch and dinner, suitable for groups up to 35 people. 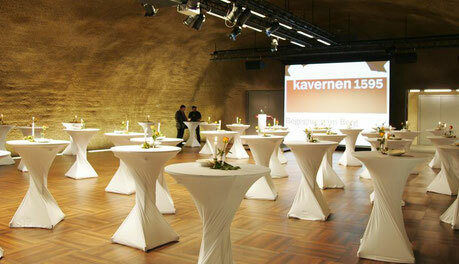 The former beer and wine depots in the middle of the city of Salzburg have been renovated and offer today space for very special events. Three function rooms are available. Something very special is the historic highlight, the cellar vault with almost 130 m², which creates an incomparable ambience for every event. Experience history in this traditional basement location. The hotel and design workshop is a very special location. 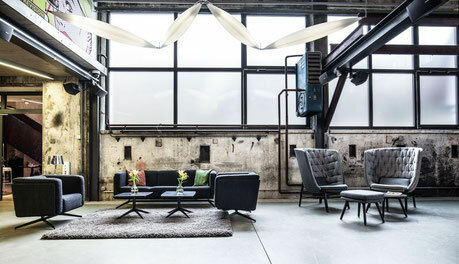 Housed in a former bell foundry, it now offers space and opportunity for unique product presentations and events. Anyone who appreciates design and aesthetics, who is looking for a modern, unique location, will find a perfect place with this exceptional showroom. The Salzburg Residenz is not only a landmark of the city, offers a museum and is located prominently in the historic heart of Salzburg, but also offers the opportunity to use the state rooms for exclusive events. Up to 645 people find place in the former palace of the Prince-Archbishops. Certainly a splendid setting for any celebration. 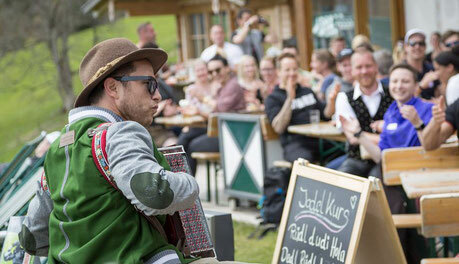 Yodelling is probably the most traditional way of singing in the Alps and the basics are definitely not that hard to learn as one might think. Taking part in an amusing workshop, led by a young Austrian musician, your guests will not only try their first “ho-lo-da ros” but also work on their breathing techniques. What would a visit to Salzburg be without Wolfgang Amadeus Mozart’s great music and of course world famous sweets “Mozartkugeln”? Learn everything about the city’s greatest son at Mozart’s Birthplace in the Getreidegasse. 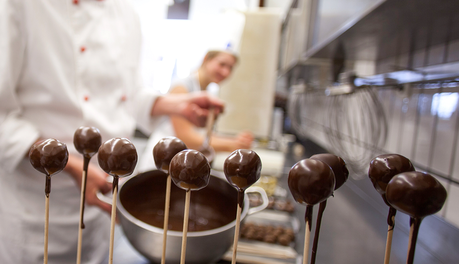 A little bit outside of the city, at Lake Wolfgangsee, a confectioner shows how to make the perfect Mozarkugel step-by-step including the final highlight: a Mozartkugel-tasting. Nothing is more exciting than experiencing the city from high above. On Kapuzinerberg, one of the two mountains in the city center, one can try the personal climbing skills on the via ferrata, the “City Wall”. Three different routes of all levels offer outdoor enthusiast as well as first-timers a thrilling 100 meter ascent. The final view is definitely worth it! Salzburg looks back on a very long beer-brewing tradition. 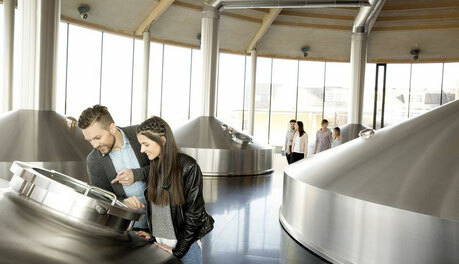 The newly installed multi-visual interactive Brewery Cinema at Stiegl Brewery World tells everything you ever wanted to know about the delicious drink and whets the appetite for a beer sampling. Start a tasting tour through Salzburg’s broad beer specialties, including a stopover at the famous beer fountain at Trumer Brewery. 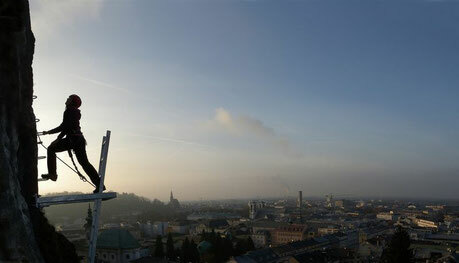 Click here for more information of Salzburg.